From our observation, the average owner or trainer spends most of their time fighting long term unwanted behaviours. Some of these behaviours can be traced to your dogs genetic predisposition, however for the most part they are learnt behaviours that have been reinforced time after time. In other words they are training problems that may have been taught. It is these unwanted behaviours whether in it be in a show, competitive training or simply at home that many tricks, gimmicks or pure frustration seems to spring into the dog world. These methods in general do not correct the problems but merely mask them. In addition these quick fix solutions only add to the problems in training. Once the undesirable behaviours have developed, training is never as simple as it could have been. At this point a very promising young dog has become nothing but a horror to live with. Besides the fact that the dog will learn what behaviour to perform when it hears the word “Sit” it simultaneously learns how to learn, (Classical Conditioning – Feeling). This is where foundation training begins. What the dog has learnt during its foundation training will have a lasting effect in its performance, for better or worse. During stress or problem solving the dog will always attempt to access its foundation training as a point of reference. It is at this point in time where the dog and trainer learn to speak the same language or not! This critical stage of training requires firsthand knowledge or animal learning, patience and numerous consistently taught lessons. Forell K9 Education offers you foundation training opportunities via our Workshops and Seminars for any promising young dogs. We will show you how to reinforce the genetic potential in your dog with the most sound training systems available. 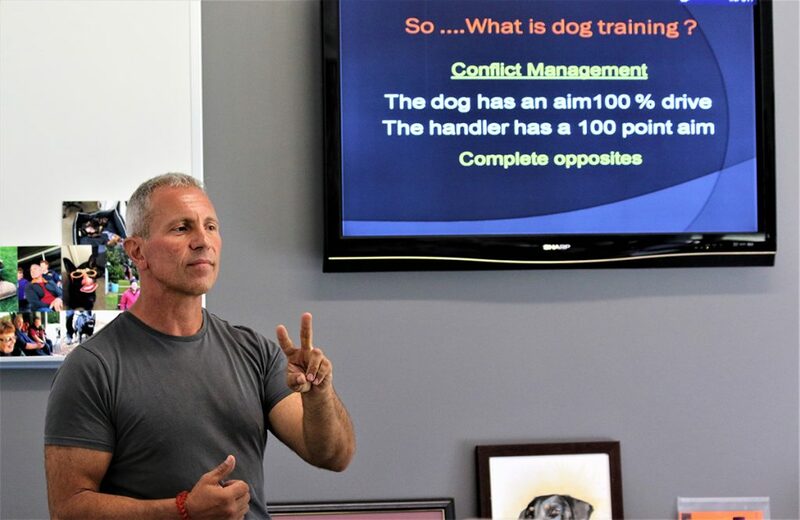 Von Forell K9 Education, an international training and development company, offering Workshops and Seminars that are innovative, effective training programs for creating extraordinary dogs and extraordinary handlers.